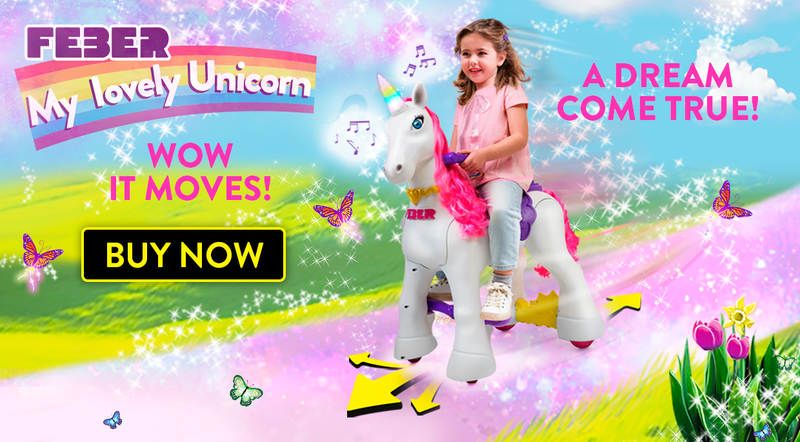 My Lovely Unicorn by Feber is the first Unicorn Ride-On that your kids will enjoy riding both, at home or outdoor, and guide it with the reins. A dream come true! Yes, a Unicorn that you can ride on! Discover the experience of riding your own Unicorn as you have never done before. Both at home or outdoor and ride it to a maximum speed of 1.86 mph. Let’s go! 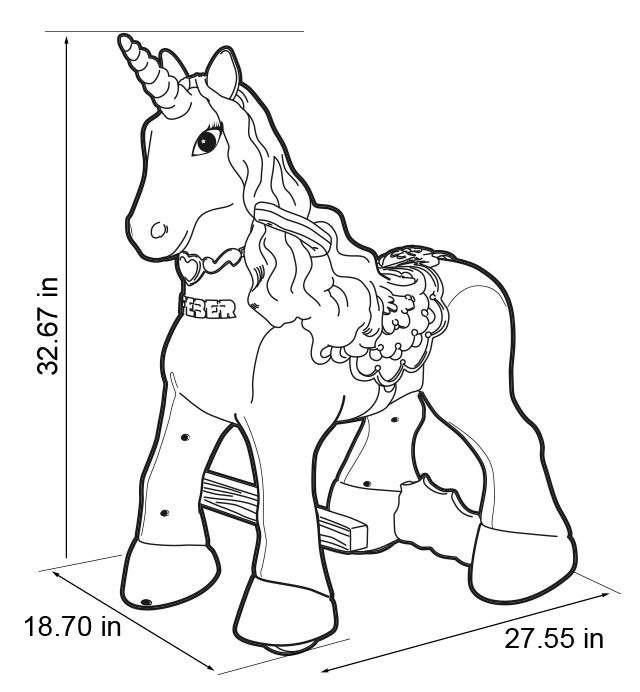 Use the reins and take control of My Lovely Unicorn: go forward and backwards; turn left and right. It's so easy and fun to ride it! 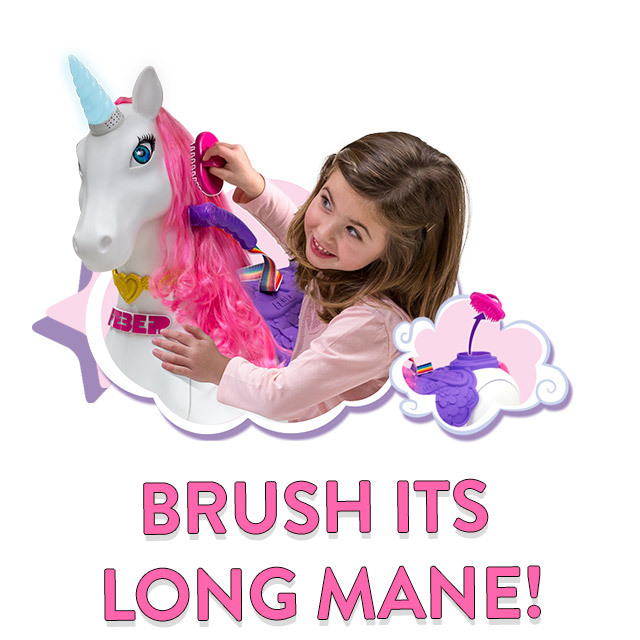 Style and brush its long pink mane with the hairbrush included and then store it in the compartment! 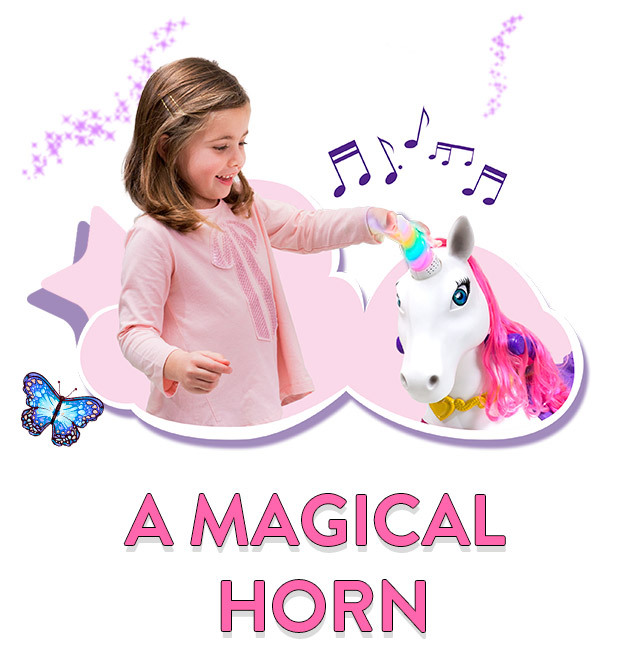 Its lights and sounds turn on just by touching the horn with your hand. 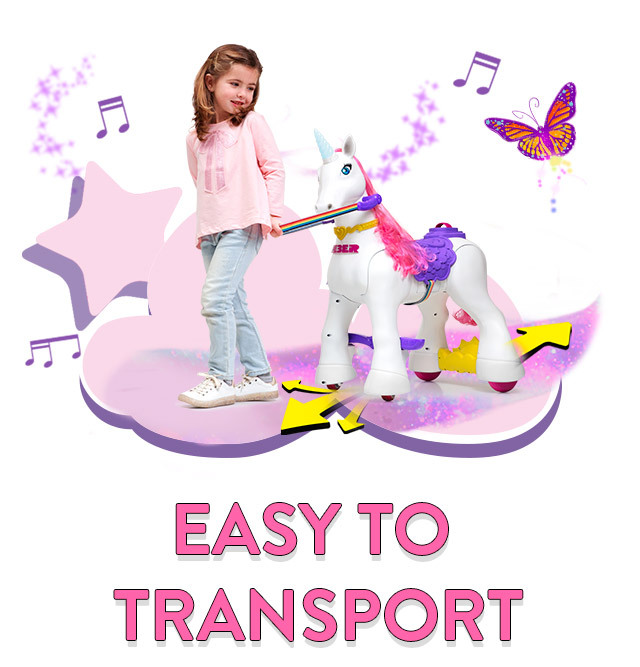 It is very easy to transport: just pull the reins and take your Unicorn along with you! Continuous use: up to 50 minutes. Charger and 12 V battery and hairbrush included.